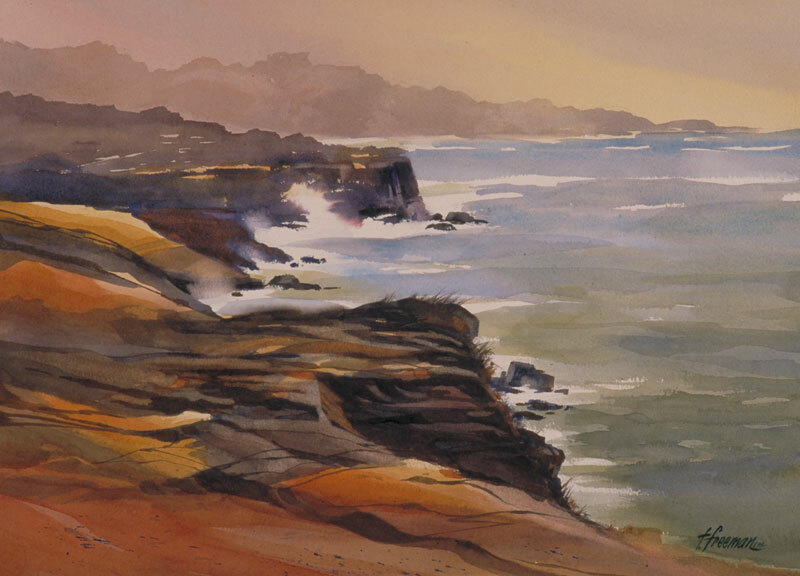 Thomas Freeman Original Watercolor Painting: "Storm's Coming"
The rugged seacoast and crashing waves of Point Lobos makes for some spectacular sights. Capturing the striations in the cliffs was a challenge. It required applying warm colors, then darker colors and selectively removing paint to let the lighter colors show through.